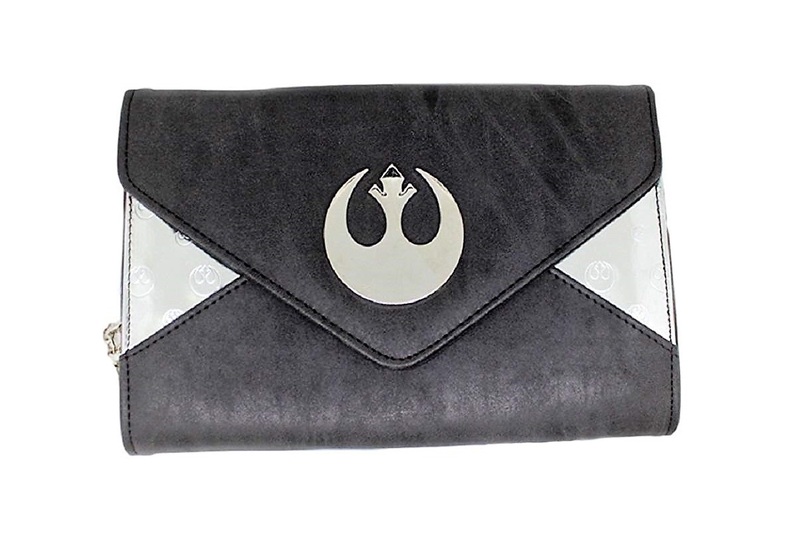 This Star Wars Rebel envelope clutch is available on Amazon. 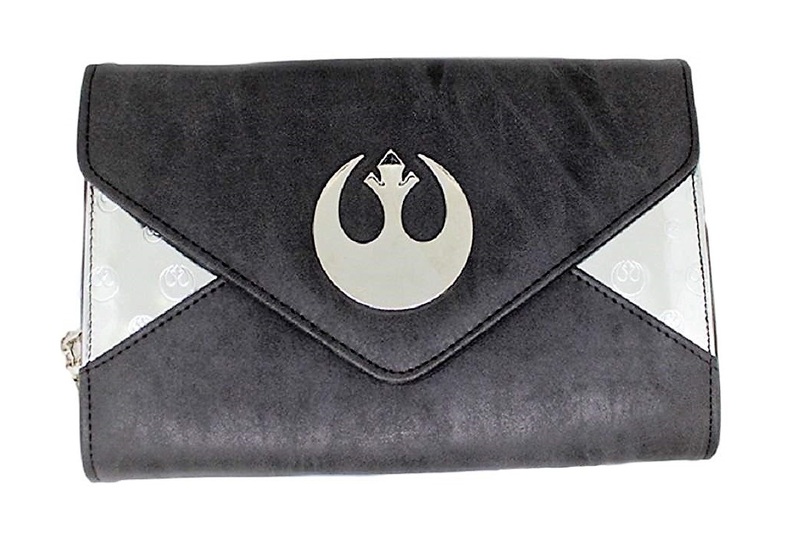 Made by Biworld, the envelope style wallet clutch is made from faux leather, and features a Rebel Alliance ‘starbird’ symbol on the front. Inside the clutch has a bill fold and multiple slots for cards. The wallet can be used as a hand-held clutch, or worn over the shoulder with the removable chain shoulder strap. The clutch is priced at US$19.99 each – shipping rates/polices vary by Amazon seller (overseas customer can order via a mail fowarding service).